With the beautiful weather in Perth, having your Christmas meals outdoors is a perfect idea. 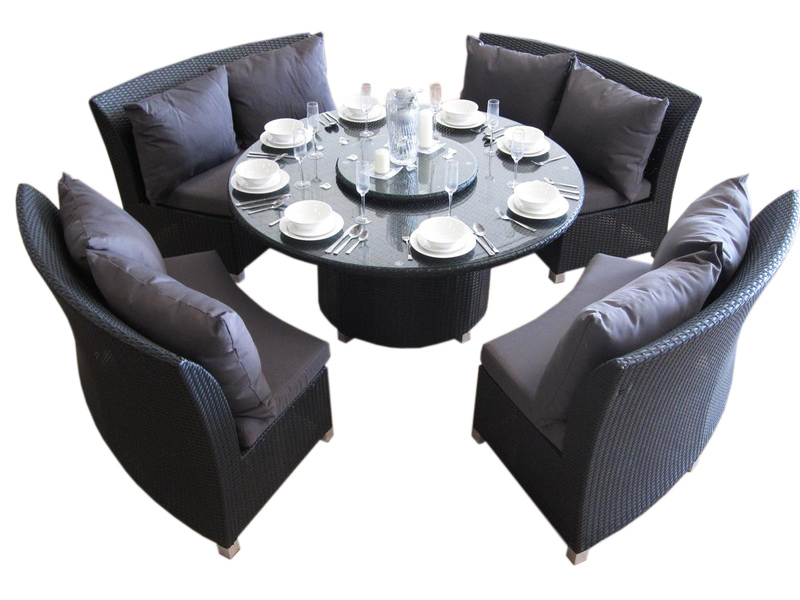 At Urbani we have outdoor dining sets that will create a luxury resort feeling. 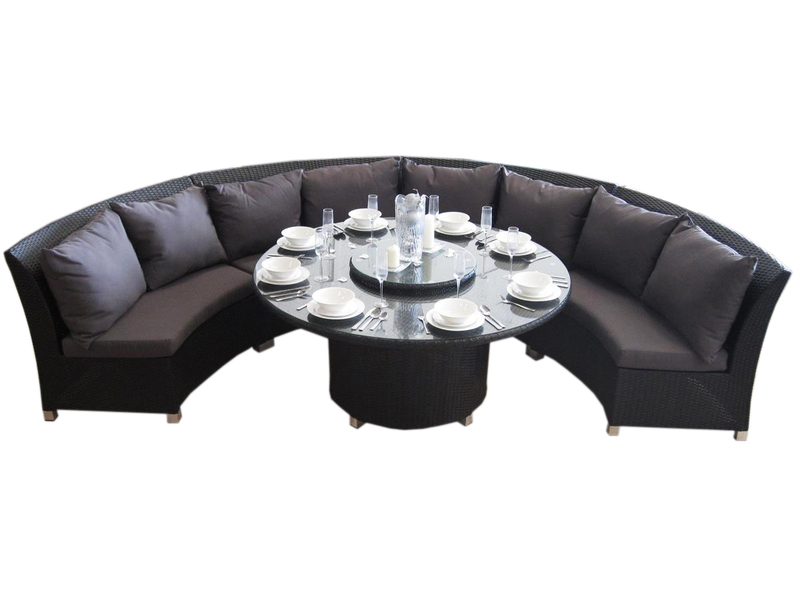 They are perfect for seating all of your family to have a roast meal and enjoy laughter and fun. 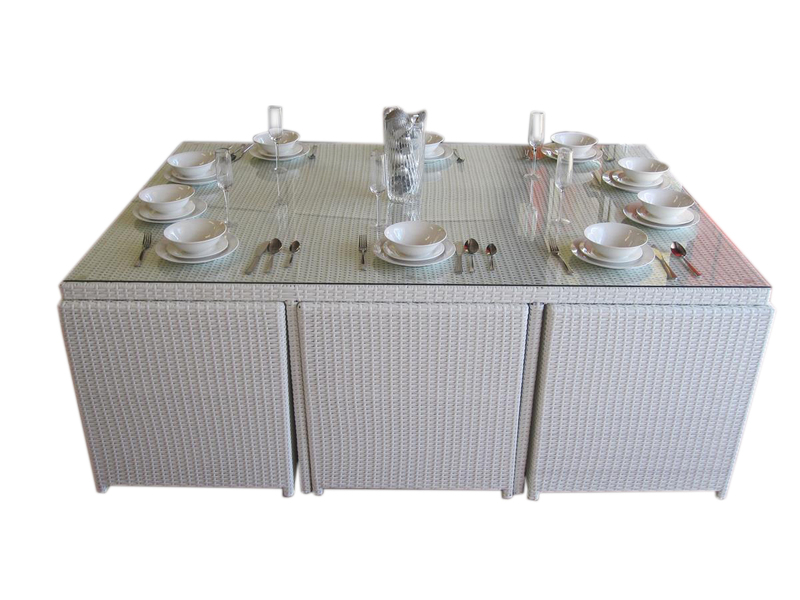 Our 10-seat dining set is very popular. All chairs and stools push under the table, to make a cube shape. Great for keeping dust away when the set is not being used. The white wicker is easy to clean. Simple wipe with water. Another popular design is the resort inspiring Copacabana. You will feel like relaxing, laughing and partying with this large set in your backyard. Bring the margaritas for a party outdoors. The modern round shape is hard to find in Perth. We try to sell designs that are versatile, and can be moved in many different arrangements. So you can create new looks, and enjoy all occasions. All of our furniture is only for Perth.